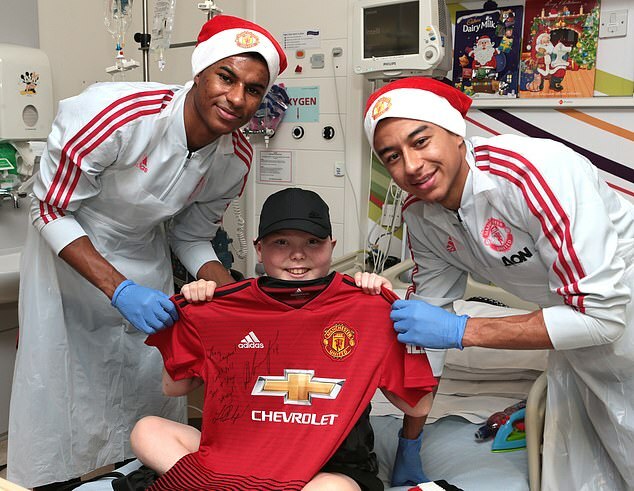 Paul Pogba, Marcus Rashford and David De Gea were among the Manchester United stars who posed for photos and passed around gifts at children’s hospitals only hours after learning of Jose Mourinho’s dismissal. Members of the first team visited Royal Manchester Children’s Hospital, Francis House Children’s Hospice and The Christie as part of trips organised annually by Manchester United Foundation. The visits signalled a positive end to a day that started with Mourinho being relieved of his duties by executive vice-chairman Ed Woodward. The Portuguese was informed of the decision in a 9:00am face-to-face meeting at the club’s Carrington training base. The axe fell on Mourinho just two days after Man United slumped to a 3-1 defeat away to arch rivals and league leaders Liverpool. The 55-year-old departed with his team sixth in the Premier League and 19 points off the lead. In Mourinho’s absence, Michael Carrick took charge of morning training, and will remain as temporary boss until an interim head coach is appointed until the end of the season. Despite the news, there were smiles all round from both players and patients during the well-received ward visits. 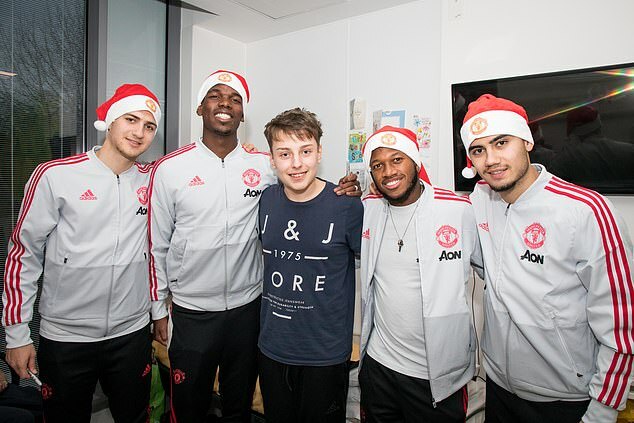 Pogba, Fred, Diogo Dalot and Andreas Pereira spread festive cheer at The Christie’s Palatine Treatment Centre and handed out Man United-themed presents and have their pictures taken. 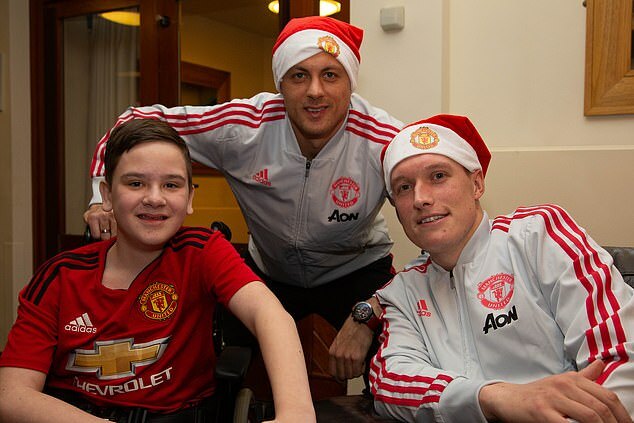 Children at Francis House were greeted by Nemanja Matic and Phil Jones, while the rest of the squad including Jesse Lingard and Rashford spent time at Royal Manchester Children’s Hospital. ‘Seeing the children happy and just giving a picture or signature, it made my day,’ said Pogba.